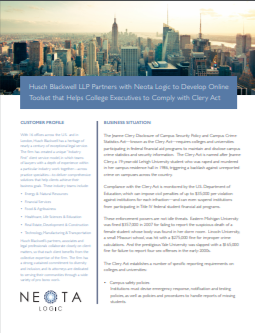 Use the Neota Logic platform to automate your business processes and procedures to gain efficiency, eliminate errors, and improve (self-)service. Applications can easily be updated, maintained and embedded in portals or websites, are mobile-ready and seamlessly integrate with other systems. Create self-service portals and offer guided assistance to your employees, clients and partners with our intelligent applications. Automating an expert’s knowledge of complex processes or rules allows expertise to be available 24/7 to many. With our flexible solutions, you can instantly incorporate changes to regulations and policies ⎯ ensuring timely compliance. Incorporate apps into your regulatory processes and see how easy it is to ensure that consistent methodologies are followed and your business is provided with auditable results. 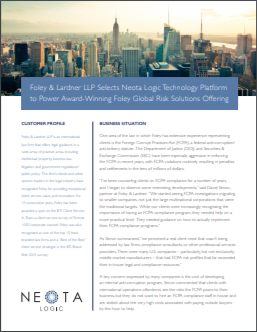 The Neota Logic platform empowers a wide range of legal and business process improvements. 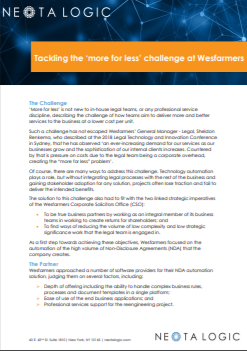 Create new revenue streams and replace hours with applications. Many companies have used Neota Logic to implement their digital strategy and delivery of digital services with alternative fee models. The intuitive visual environment and no-code approach is accessible to everyone. Allow non-programmers to develop, test, document, and implement critical applications in a short period of time. Create engaging user interfaces that represents corporate identity. Automate rules, decisions and processes by implementing Boolean algebra (decision trees/tables), mathematical rules and weighted factor analyses. Integrate other systems through the modern application programming interface (API). Instruct the platform to generate complex documents based on data, logic and decisions. Allow users to enter data or retrieve data directly from other data sources, such as CRM and ERP systems. 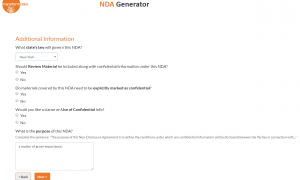 Allow users to generate a Non-Disclosure Agreement that is in line with the company standards by completing a questionnaire. 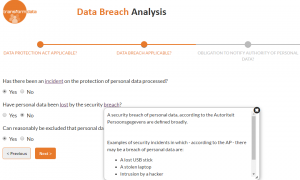 Employees are able to check if a data breach has occurred and how they can deal with one. 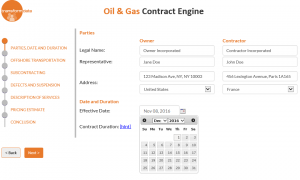 Generate complex contracts based on templates while taking regulations and review processes into account. 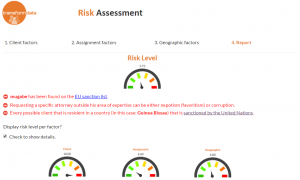 Analyze the risks of a client intake application with a check against the EU sanctions list in combination with other risk factors.